When we asked what things the folks most severely affected by the recent earthquake in Bohol needed, the answer was clean drinking water. How ironic that the island which had previously been viewed to have an abundant supply of potable water, now faces fear that their supplies are contaminated, and require bottled water from elsewhere. All of us at Zubuchon, and in a private capacity as Marketman and family, are donating several thousand bottles of clean drinking water, and some folks are underwriting the transport of goods by chartered bancas directly to the worst stricken coastal areas of Bohol. None of this will pass local governments, just straight to people who need them. Please count me in. Long-time lurker here, so I might as well take this opportunity to say that your paella recipe is fabulous. Made it nearly half a dozen times now, and your advice about not scrimping on the process of making the sofrito is very accurate. I love reading your blog. I usually just “lurk” though and don’t comment at all. But this time it’s different. Thank you so much for doing this. This means a lot to me since we are all affected. I live in CDO but have family and friends in Cebu and Bohol. No need to write my “name” on the bottle though. It’s enough that i’ve commented. Thanks again! My most memorable post was on October 24, 2005, my first post about turbo cooker, comment #37. I have been following you since then and appreciate very much all your posts and some emails from you. I am Thel from Florida. Bless your heart always! Our prayers for Bohol & Cebu. I ‘m from Metro Manila and one of the post ingrained in my memory banks is the one where you were able to send the gingerbread house to a son of the mother who commented about his sick son’s wish or mother’s wish to make a gingerbread house for the son. That post truly touched my heart, it was Christmas time and I could truly feel the warmth and love the season brings. Hi Marketman, the most memorable post for me was when Anthony Bourdain visited you. :) and I love your travel photos and stories. From Dasmarinas Cavite, my most favorite post was of course the infamous chicken inasal recipe. Cooked it and thought this “marketman”knows what he’s talking about. Been an avid reader ever since. i pray for the people of bohol and cebu. i like your holiday settings esp the christmas feasts. looking forward to your 2013 holiday spreads. god bless you for your kind deeds. from pasay city, reading your blog since 2006 or 2007 (i forget when exactly) and commenting on and off since 2008. my favorite mm posts would be the ones on adobo, arroz a la cubana, binagoongan and cream dory since i recently started rotating these recipes for my breaks from fast food deliveries. I reside and work in Makati, grew up in Baguio, but parents are from Cebu and Leyte. My most memorable posts in his blog are the lechon experiments, the quest for crispier skin and the Anthony Bourdain post. The first post I ever read from MM and one of my favorites is the grilled prawn with garlic, butter & dalandan in 2006. Since then, I’ve been a follower. I also love the post when Anthony Bourdain visited and tasted the best pig ever and your liempo series. Hi MM! I’m one of your “lurkers” here and I love your blog! Thank you for helping those affected by the quake and for giving me a chance to be a part of it. Im biased but of course my favorite is your series on Negros Occidental. UK, lechon experiments that led to anthony bourdain and zubuchon. From Pasig here. My favorite post is anything with sinigang! They bring back great memories of my childhood. Sending my prayers and well-wishes to the Boholanos and Cebuanos affected by the quake. Currently in Manila…. my favorite posts are the ensaymada posts, lechon experiments, floral arrangement post where you first used a vegetable as a flower holder was a big paradigm shift for me. Loved that! What a generous thing to do. Thanks Marketman. Been a reader for some time now. Thank you for helping the many people that are affected by the earthquake. I’m from the US and my most memorable post… What do you do for a living? Thank you MM and may God bless you always. Hi there. Lannie, daily lurker :), from The Netherlands. Most memorable post: the one that revealed your pic for the 1st time. hi MM, been reading your column every morning…I’m from Los Angeles and one of my fave posts are the “rants” – specially the fishpan for bangus, one about the culinary store and one about the airline…Bless you for your support of the earthquake victims. Hi, I’m from Bacolod. I love your floral arrangement posts. God bless you MR.Marketman. Your kindheartedness and compassion to people in need is admirable.You shall be rewarded a thousand fold. I follow your blog and try some of your recipes-among my favorites is cocido and the side this. Hi MM! From San Fernando, Pampanga. Favorite Post: Sinampalukang Manok and Chicken Inasal. My favorites are the rants. From Iloilo, now living and working in Manila. My favorite post would be the opening of Zubuchon. Thank you, Marketman <3 I love a lot of your posts but this one is my new fave. God bless! …from Cainta, Rizal. I was able to relate most to your rant about doctors’ punctuality. Thanks, MM and family and crew, for this. have donated in our offices drive, too. One more bottle of water will go along way. Muntinlupa. My favorite posts: paella, braised lamb shanks, your travels, and the opening of your event place! when does the “baby” turn into a “lady”? from Guam – there’s a lot of posts which i like – the rants, the anthony bourdain posts, the fruits and fresh produce, the experiments, the travel posts,the feeding program posts, the ones with the password and the one most memorable was about the chicharon. Of course, also the ones where you gave away prizes. This is the first time I am ever posting on your blog but I’ve long been following. I am currently living in Taipei. Though it’s hard to choose among your entries, the one that struck me the most is not a food entry but the one on the little school girl asking for a toy cellphone. From Makati. Favorite Post: When I travel in Bohol. hi mm! a lass from Aklan province loves your post about your family getaway to coron and el nido! they’re so informative and food photos looks great!!! Thank you for sharing your blessings – God bless you! from pasig city and a self-confessed lurker! I like that post when you showed your picture because you were thinking of taking a “leave” from blogging! Don’t think of doing that again- the thought of leaving, i mean! More power! My favorite was not about food. It was about the Bataan Nuclear Plant which sparked off a long and lively but civil discussion. From Manila. from covina, california and long time lurker! In Singapore. The post I always go back to is the one which has Mrs. MM’s Carbonara recipe. I know, it’s too simple not to remember, but I always want to do it right! Thank you for donating bottled water to those affected by the earthquake. The most memorable posts for me are those on ensaymada, adobo, lechon, the school feeding program and your travels. My favorite were posts re Anthony Bourdain’s visit. Appreciate what you are doing for Bohol and its people. More power to this blog. Please send DIRECTLY to ATENEO DE CEBU c/o Campus Ministry Office, H Abellana Street, Canduman, 6014 Mandaue City. The most memorable to me is the adobo post. So many favorite posts… but I liked the ones where we had to go “treasure hunting” for clues all over the posts :). Greatful with your lending hand as always mm! Long-time lurker from Canada – love the lechon chronicles. Thank you for letting us, your readers, be a part of this wonderful undertaking. My favorite post was one way back Nov 2007 when you were able to gather enough “sales” and donations to feed 5000+ kids.. and that you mentioned that your favorite moment then was when I showed you an aratiles branch. Runner-up up to this is the famous fish pan post (along with picture still gives me the giggles). Kulasa from Cavite. Oh I love/like all of your posts MM, the flowers, the food, the experiments, the rants the list will go on… the food from your post that I cook almost every week (not kidding) is the June 29, 2007 Bistek Tagalog Revisited. Long time lurker from Cebu. Thank you Mr MM for doing this. From Quezon City. My most memorable for me is your Kalamansi marmalade recipe. Hmm… so many to choose from. I am from Pasig and have been an avid reader since 2009. Most Memorable post has and will always be your “Cream Dory with butter and lemon sauce” which is so darn easy to make (woo’d my partner’s family with it) and was incidentally the very first post that I was able chance upon. And the rants! Not only are they timely and easily understood (being consumers/ customers) but I love it whenever Marketman shows those service wrongdoers some sass. I best remember your “Lapu-Lapu Steamed in Banana Leaves a la Marketman” among the hundreds of others I cherish. Best wishes from northern Bohol. From the US. I got hooked on marketmanila because whenever I googled Philippine fruits or plants or food that I miss, I always got directed here. Lots of favorites. But games looking for the password were fun. Hi, my favorite posts are travel-related, particularly your travel posts about Paris and Spain. This is a great idea MM! from BF Paranaque, i never stop learning new and revisited recipes, thanks for sharing. God bless! Prayers for the people of Bohol and Cebu…. You are a good man, keep it up. More blessings from Qatar. My favorite is the lamb recipe. I was following your blog since the day that I was able to find out where to get fresh local herbs and Spices here in the Philippines. I am from Marikina City and My favorite Post is The Monday Market at Tnine Ourika. Love all about your post at Vancouver Eyeball and met BettyQ! From Atlanta,Georgia. My most favorite post was the one you made in 2009 about the artisanal goat cheese factory of the Puentespina family in Malagos, Calinan,Davao City. BTW I was born and raised in Calinan, Davao City!! I’m glad you are able to do humanitarian work bypassing govt, redtape! Fish pan, Puto Bumbong, Ube, Mangosteen, Pili, Kasuy, Lechon and Paris Macarons are among my favorite posts. New York City. Long time reader. Love all your travel posts. I used your Madrid post as a guide when I went there last year. From Madrid, Spain. My favorite were your posts about your quest on perfecting empanadas! These are my favorite goodies! I think our filipinized version of empanadas are way better than what I’ve tasted so far here. Hi. Annie here writing from the Netherlands. I’ve been devouring your posts for a couple of years now. If I really have to pick, the series on your Moroccan trip is my favourite. Your stories made me want to go there – and I did eventually! The posts about salt are awesome, too! I have a growing salt collection because of you! I appreciate the help you’re extending to our “kababayans” in Bohol. Maraming salamat! Marketman, thank you for your generosity, and I am glad to hear that you and your family are ok. My prayers are with the people of Bohol and Cebu. from Houston, TX. Always looking forward to your overseas holiday posts. I look forward to reading your posts but found your site looking for tips on how to cook lechon at home (lechon de leche). Thank you for doing this for us. Prayers and good wishes to all those affected. I love all the recipes — from the lechon belly experiments, to the yummy paella soffrito (which is now my go-to-base for chicken valenciana and seafood paella). Of course, the big relief I got while reading your first post after that long hiatus. Favorite post: Soffrito recipe for paella. Elevated my paella a few notches! Thanks! Love reading your blog and it is hard to choose the most memorable for me. But if there is one post I keep going back to, it’s the — Chicken Inasal recipe. I have made it several times when I go back to my hometown in Roxas City and I have access to lots of native chicken. My favorite post is when Anthony Bourdain arrived in Cebu. My gratitude to you MM and family for being ever so generous with your time and expertise. My love and prayers to those affected in the Philippines. Greetings here from Gallup, New Mexico. Thank you from California……your flower arrangement inspires me and I recently tried your version of Vietnamese barbecue. Lurker from Silicon Valley, California. My favorite post definitely is the one about the plagiarism perpetrated by the Department of Tourism using your intellectual property. More blessings to you and thank you for doing this. From L.A. Ca. your everyday lurker and first time to comment…this is my favorite post..God bless you for your generosity and doing something to help out the victims of Bohol..
Angie from Quezon City here. My favorite post was about your Momofuku plus pork buns. Your chicken inasal entry got me hooked. Thanks for your generous donation! Cliff from Cavite. It’s my first time to post a comment. I love all your post regarding flowers. The arrangements are both practical and unexpected. More power. I’m now in Kraków, Poland. I am just a lurker :-) My favorite post was the paella and I cooked for my Polish family here and it was a hit. God bless you and your family for doing this. Im from Warsaw, Poland. My gf cooked for me the Paella that you posted in your blog and it was delicious. Thank you for doing this to those that were affected. Quezon City. I love all the lechon posts! this is Cliff again from Cavite, just want another water bottle for Bohol. i’ve used a different email. I also like your post reagrdinng S and R. who doesn’t love S adn R.
Now that US govt. shutdown is over I can finally enjoy my boneless lechon (made my 1st one over 20 yrs. ago). I live in Washington, D.C. suburb and my favorite posts are charcoal making, chicharon, your lechon experiments, successive openings of Zubuchon restaurants, your trips to northeastern states in the fall (lobster roll) not to mention your response to my email about corruption in Philippines local govt. where I was born and raised (now merely a drop in a bucket compared to pork barrel scam but ‘kurakot’ nonetheless). More power to you and your team!! I enjoy reading all your posts but if I were to pick a favorite, it will be the series of posts you did back in November 2011 of your trip to Vancouver. I am from Vancouver and I regret missing the opportunity to meet you, Mrs MM and Betty in the Vancouver eyeball. I was sick at that time. Thank you for doing this donation. I’m glad I was able to help in some way to help the earthquake victims. I just wish the government spend the PDAF and DAP money to those in need rather than enriching a few. From Singapore, but originally from Pampanga, Philippines. Most memorable post was the Baboy Ramo Tocino, the first post I read from your blog when I was looking for a tocino recipe – missing a taste of Pinoy food. Thanks for doing this Marketman. God bless! Hello MM! I’m currently here in the USA. Love all the marmalade posts (esp. the ones from your sister). God bless and more power to you all!! Being I love all your posts, my favorite is the Post archive. When there is nothing new to read, I just browse thru it and never fail to find something interesting even though I have already read them all in the past. It’s the way you write MM, very entertaining and never boring. I’d have to say my favorites are the rants. They are so on point. Thank you seems inadequate but it is so heartfelt. Love your pasta “aux tomates cerises et mozzarelles”! It’s now one of our family’s favorites. Thanks! So generous of you, your family and crew. More power to you MM! I am from Rhode Island MM. love reading your blog especially the rants-i find them hilarious! from the Caribbean island of St. Maarten and this is the best post amongst all your great posts. Qandahar, Afghanistan 90 days, Philippines 30 days. All pork posts compete as favorites. Long time lurker from Davao City. Thank you very much for doing this donation. I really like your posts on your Christmas gingerbread houses. Kudos, MM! From Cebu. Love the april fool’s day escapades with the kid. May God bless you and your family more! Checking in from Concord, California. Favorite post still is the toyo-less pork adobo slow-cooked in a palayok. lurker from Pasay City here. Hi MM! What a great initiative and just want to say I’m happy to know that you and your crew were spared. I’d have to say that in addition to the recipe and travel posts, I enjoyed your rants and Internet sleuthing abilities most. It was always interesting to see how the situations were eventually sorted out and how the comments section suddenly buzz with activity. Of course, there’s also always a lot to learn from the situations. Thank you for your generosity. Sending positive vibes from Taipei. from Vancouver, BC. your paella and porchettta posts are my faves. Long time lurker here from Singapore. post about ensaymada and lechon! May the good Lord bless you more! Hi, Makati. Common & Uncommon Market Finds… 19May2010. Thanks. Prayers out to everyone. Hello MM! I love your budbud kabog post. I don’t always get to eat this type of suman coz it’s hard to find and I don’t even know how to cook this. But gladly I was able to eat this when i visited your resto. I just love how delicious this suman is and others really need to try this when they dine at zubuchon aside from the lechon which i also tried. Thank you MM & fam! In SF, CA. Most favorite read:When does the “Baby” turn into a “Lady”? Hi MM! This is Tin, currently in Rizal. I’d say my most favorite post is the one when the then Teen was learning how to drive. I can name others but there’s just too many! I am from Paranaque and your blog is what I read when I want to be inspired in the kitchen. Your blog posts on Ensaymada and where to find kitchen/baking/cooking suppliers in Manila are my favorites. More power to MM and Zubuchon! from Abu Dhabi UAE. All flowers and the Sister’s marmalade posts. May GOD bless you more for your generosity. The callos and paella posts. And the travels posts as well. Plus bettyq’s comments. This site has become my main source of information for our family meals. Thanks so much MM!!! “Best pig ever” Bourdain post. God bless you, your family and your crew. God bless Bohol and Cebu. From Bahrain…fave is the payard banana cake post..
Long time lurker here as well. Loved your travel and leisure posts. Good day MM! I am a long time lurker of your blog from Sultanate of Oman. My favorite was Curacha of Nasugbu/ Zamboanga, Siomai and “Lechon Chronicles”. This is where I get my ideas to improve our backyard family business, my daughter missed me due to your Siomai recipe that I used to cooked! God bless you more, your family and crews! Our prayers to the people of Bohol, Cebu, Zamboanga and the Philippines as a whole. makati, metro manila. my fave is the christmas candy corner. For me, it will always be “Breakfasts at Amanjena”. In my perfect world, I would be having this breakfast everyday :). my favorite is the christmas candy corner. Thoughts and prayers from Calgary, Alberta. Favorite post would be everything about the lechon series. I have also been a lurker for some months now. ( I have been intrigued even since I saw an article about you in yummy magazine back when you were still somewhat “anonymous”) While I can only dream of traveling to the places you have been to or tasting the food you have tasted, I still keep a copy of the simpler recipes I know I can replicate at home. I just cooked your adobo recipe today and it triggered a lot of memories. Thanks to you and your family for doing this for the victims of the earthquake. Count me in and hopefully through this small and simple act from many of your followers, the people of Bohol will benefit greatly as they strive to rebuild their lives after this tragedy. Sad, sad gid for Bohol and prayers for the folks there. most memorable post:feeding program in a school in guadalupe last christmas. Hi from Cincinnati, OH, I like the posts about feeding the children. Been a reader since 2008. One of the more memorable posts was the little girls Christmas Story. Quite like the Chorizo and Inasal posts. All the best from Coventry,UK. From Manila to Singapore, still reading you. Fave posts would be anything on kinilaw. Do you accept contributions? Will gladly contribute as I’m sure it’ll get to those who need it the most. Kudos and thank you for setting this up. It’s about time to post a comment. I have been lurking here for more than 5 years and not posting. I read your blog from San Francisco, California. I like your posts in preparing lechon Zubuchon-style and the articles during Anthony Bourdain’s visit to the Philippines. My most memorable article is slow cooking adobo Marketman-style in a palayok without soysauce to make adobado Batangas-style. I am praying for the victims of the Bohol earthquake. Hello Mr MM I’m currently here in LA(USA) and a part time resident of Makati during the winter months. I read your blog regularly and it is hard to choose the most memorable one for me. If I have to pick one it is how make Paella which is now a favorite in our household. The quest for the best pig that led to the birth of zubuchon, I salute you MM !! I AM FROM NORTH CAROLINA, USA. IT IS HARD FOR ME TO PINPOINT JUST ONE FAVORITE SINCE I I LOVE AND ENJOY READING MOST OF YOU ARTICLE BUT IF I HAVE TO PICK JUST ONE IT IS TO BE DIVISORIA AROUND THE CHRISTMAS HOLIDAYS. GOD BLESS YOU AND YOUR FAMILY FOR THIS ACT OF KINDNESS. From Makati. I enjoy your posts on decorating with creative floral arrangements. I want to thank you and your crew for everything that you do for these unfortunate people. How to choose? I enjoy each of your posts – not only do I get tips in cooking and recipes but I live vicariously through your travels, personal postings and all. More power to you, to Mrs. MM, the lady formerly-called-The Teen and your crew! Thank you for your efforts with helping our fellowmen in Bohol. I am a big fan so I don’t really have ONE particular favorite entry. I immensely enjoy your rants and raves and it’s a pleasure “accompanying” you on your travels. Whenever I attempt to do any culinary gymnastics, I consult your blog first to see if you have done similar dishes in the past. I know this has been posted in various social media sites but THE FILIPINO SPIRIT REALLY IS UNSINKABLE AND UNSHAKEABLE. Thank you Marketman, family and friends for your generous spirit! Sorry, I am from Santa Rosa, Laguna. Grew up in Bohol, now living in Canada. Loved your post on adobo cooked in claypot without soy sauce. Have been making my adobo dish like so since. Thanks for the concern. I loved your “Where to Find” post. I still gp back to it every now and then. I think that was the very first post I commented on when I was looking for Juniper Berries. I love the day you took yr Zubuchon staff for a day of wonderful food, fun and games. Btw, I love all yr posts. Bless you MM, family and crew for yr humanitarian effort! Very touching! Best wishes from Adelaide, Sth Australia. Hi! I’m Aimee and I’ve been a long time lurker from when I was still single and living in Makati and now with a family in Subic. It’s hard to pick a favorite but I especially appreciate the posts about preparing Filipino “classics.” I find them extremely helpful and encouraging for people like me who are learning their way in the kitchen. Food is one way of sharing our culture and I would like our son to grow up with an appreciation for Filipino food (or at the very least his mom’s cooking). Thank you for all the good that you do. A very commendable initiative, MM! Am living in Amsterdam and checking your blog daily. Particularly enjoyed your series on Morocco. I have shared many of your posts – i shared the one on corruption with my MBA e-group this summer. Pinoy gingerbread house was the first time I learned about you. It is still my favorite, the flowers second and rants the third. Bless you MM for your kind heart! Here in Quezon City now marking our first month in our new home across from TRINOMA. Hope to bump into you MM at one of the Sunday markets. My heart goes out to the people of Bohol and other parts of the Visayas stricken of this calamity and glad that in a small way easily contributing a bottle of water for this post. If there is a memorable post for me, it is the one with the picture of the school kids partaking of MM’s generous meal program, except would have wished they were eating good brown rice instead of the white rice polished off its bran and germ, the source of nutrients( especially) the malnourished kids and all of us need. I also enjoy bettyQ’s posts sharing her tips and recipes and Footloose’s witty remarks. And I wonder what has become of silly Lolo. I want to mention sister’s shared recipes as well. One of my best keepers is her plum cake recipe. I am German and I am naturally from Germany. I salute you for this. Kudos. I’m Neraine currently in SG, originally from PH. My mom’s hometown is Loon, Bohol. Thank you for this blogpost, it would be of great help! It’s hard to choose a favorite but I think all food posts are great! god bless you and you family, mr MM for your generosities!! Four years ago, I was googling for manga at bagoong when found your site. From there on, I became an avid reader. I may not post comments all the time, but I check your site everyday. Thank you for helping our kababayans. I love it when you put a twist on a simple recipe. I am a foodie and a fitness buff and I just love your blog. I, actually, want to go to Cebu just to taste Zubuchon. . . I can tell you are a good person by how you treat your employees. And this undertaking is another proof. God bless you. From San Juan, MM. Enjoyed the posts on Anthony Bourdain. God bless your very generous heart. Santa Rosa Laguna Philippines – fresh pili! Singapore: Loved the Leche Flan Experiment. Pagpalain ka ng Panginoon Mr. Marketmanila, napaka ganda ng iyong puso. Sana marami pang Pilipino ang katulad mo. Favorite post? More like favorite blog. Greetings from Silicon Valley and the San Francisco Bay Area! Favorites: The Bourdain, travels, recipes and pork posts! Prayers for Cebu and Bohol. Thank you for donating to the earthquake victims. I like everything you posted so choosing one as a favorite is tough. The post about the “MOK” award with the 3 eggplants (July 22,2012) is particularly interesting to me though, because it involved a little bit of sleuthing. I’m currently living in Seal Beach, Southern CA area. i’m from negros occ. we’ve been hit by the earthquake too, intensity 6 at that, but nobody was hurt. my most favorite post would be the chili crab. i just looove2x crabs! i hope the people of bohol and cebu recover soon from this tragedy. Hi! I’m from QC. Been reading your blog for about 3 years now. I don’t have a favorite post but a favorite recipe that was tried out by my sister once for Chirstmas: We loved your sofrito and paella :). Thank you for initiating this drive to get water to Bohol. I always loved the Filipino classic recipes but if I have to pick, it will probably be the Palawan series then the chicken tagine with preserved lemons which I’ve made several times now and the pinangat. Oh and yes! the rants, definitely love the rants! From Bataan. Favorite post – school feeding program. and this one a very close second. more power to you, your family and staff. the adobo post with a narrative of ur overseas life and how the dish relates to our identity as people, then and now. the same post that sparked my curiosity to visit your blog almost eevryday religiously for the past 5-6 years now! Kudos marketman! From Singapore. Yardley, PA. All your posts on outdoor dining at your Zubuchon Cebu place. Thanks. I love all your post, from recipes, travels, rants, etcs……. reading them almost every day for 7 years now. I am from Las Pinas City. I had been following you since 2005………..its hard to choose since everything is really interesting. What amazes me is you always extend help to other people…………like your feeding program …..and the latest is the bottled water for the earthquake victim. Hi! I’m from the City of Golden Friendship, and sad to say, the worst one hit by Sendong – Cagayan de Oro, Philippines. It is generous and compassionate people like you who give hope to those suffering from an unfathomable tragedy. That aside, the post I keep going back to is the one you did on Lechon Paksiw. Everyone I served it to always asks for the “secret ingredient”. From Seattle, Wa. Currently live in Cebu, I enjoy all your posts but in particular the heated discussions with the bank to activate your card..so true. I’m from Springfield, IL and originally from Cebu. Daghang salamat!!! God bless you for your generous efforts! We hope the Boholanos would make practical use with all those plastic bottles. Am from Antipolo and when i visited my friend in Cebu in 2010, she made sure to bring us to Zubuchon because i said that was a must for a Cebu visitor. We were all glad we tried Zubuchon… Lechon heaven. I’m from Makati. Cebu and Bohol are my dad’s hometowns. Fishpan posts are my favorites. I’m from New Jersey. Everything!! !…and I read your blog several times a day including all the comments. Long time expat lurker who could not possibly point out my favorite blog post of all the excellent ones you have posted. Lurking in Iba, Zamabales. Please keep up the great blog and social efforts you are involved in. From YVR, Canada. My fave posts are your flora posts especially for your dear friend who passed away. I thought that arrangement was a masterpiece! Thank you for your generosity. thank you for your big heart, & generosity, MM! Continue to be a blessing MM and family! I love your posts on- flowers, chicken inasal, your surveys, your rants, your endless efforts to promote Filipino cuisine, the Teen, the sampaguita “ribbon” ….. Good luck and I continue to pray for your and everyone’s safety! From Davao City. I love your macapuno preserve and mangosteen jam posts. From Chicagoland. This is my first time to comment though a long-time lurker,…..a fan! I will always remember your Christmas post last year,about the little girl whose first Christmas wish is to have food on Christmas.I’m also a lurker,I visit your blog almost everyday…I’m a nurse working here in Texas…will be praying for all the victims of the recent earthquake in Bohol and Cebu and nearby provinces.God bless and help us all. joining you in prayers for bohol …	from MNL, currently in BKK. my favorite post? that’ll take a lot of time to discuss, MM. on vessels, on stinky food backstage, on visits to zubuchon … ETC. Hi MM. My mom was from Duero, Bohol and I have relatives scattered all over the island. Good thing all of them are safe. I can’t stop the tears from flowing every time I see images of the destruction brought about by the quake, but at the same time, I am humbled to see that the Boholano’s faith in the Lord remains strong despite this catastrophe. May they always remain so and I continue to pray for their safety and security. I don’t have one favorite post, but the posts that touch me the most are about the feeding programs you’ve run for the schoolchildren. Because of that, I was influenced to charity work and have finished one this summer – school supplies for orphans in Bacolod. I am now working on my second one, slated for December. May the Lord continue to bless you and your family, for your care and generousity. Thank you, MM. From New Jersey….. I love the lechon chronicles and the European vacations. Also the recipe exchanges…I love what you do!!! now, I will really, really love what this will do!! from Baguio – I don’t have a favorite post because I like reading all your posts – from those on gingerbread, the school feeding programs, the cinnamon buns, quest for perfect leche flans and crispy lechon skins to the rants – all posts inform and educate and you touch our hearts with your generosity and kindness and your concern for others. May God continue to bless you and your family and crew. Ayy, ang hirap pumili dahil napakarami ng magagandang lathala ng iyong “web blog”, halos lahat ay kapupulutang ng kasiyahan, karunungan sa pagkain, lugar, tao, at kaalaman sa nga pangyayari sa ating bayan; katulad na lang nitong iyong adhikain na matulungan ang ating mga kababayan na nasalanta ng lindol. Pagpalain ka sa iyong mga layunin. Ang mga paborito ko ay ang mga paraan sa pagluluto at mga sangkap ng pagkain na walang sawang ibinahagi sa atin ng butihing Madame BettyQ. Naaliw din ako sa iyong mga salaysay tungkol sa mga prutas at gulay na iyong nadiskubre sa iyong mga paglalakbay. At ang isang di ko malimutan ay ang paglalahad ng iyong “kalokohan” sa pagsayaw ng Gangnam. Isa ako sa iyong mga taga hanga. Ako nga pala ay nanirahan sa Houston/Stafford, Texas. Maraming salamat. I am from Toronto, Canada. I love your fruit cake and Christmas postings. Overall, I love reading all your postings, very interesting with varied topics! I like the poll section, too! From Pasig, currently residing in Washington D.C. The most memorable story for me is your last year’s post, A Christmas Story… you made me cry with that post and it made me hug my daughter tighter after I read it. The recipe that surprised me the most is the Mustasa Salad with Bagoong and Kalamansi. I tried it but used lime instead and it was so good. Even my husband who does not eat vegetable that much liked it and requested it to add in my vegetable recipe book. Thank you so much for your generosity. God bless you. Plaridel, Bulacan. The mangosteen jam and the coffee mangosteen cake posts :) God bless you, your family and your staff. One of my favorites is “What Happens If Someone Takes/Steals Your Suitcase on a PAL Domestic Flight?” in February 2012 with the photos of a spotted suitcase:) and all the tips against losing luggage. It was an eye opener for me. Thank you MM and God bless you on your endeavors! Please keep up the good work! God bless you and yours, as well as the people who have to endure the effects of this act of God. Phx, AZ. Love all ur posts. God bless you for all your help for the Boholanos and Cebuanos. Bless your good heart and those of your family and colleagues at Zubuchon. My favorite post is the chili crab which I have been wanting to try but still have not done so. One of these days. Crab season is coming round the corner again. I am in Vallejo, California. currently in hudson, OH. no single favorite post, love everything about the blog. hope the comments exceed the limit. Regular reader from Dubai. I love all your posts but if there’s one post where I learned a lot, it’s that post about the RH bill. Your commentary on Aug 6, 2012 and all the comments from your readers were very informative and educational. Also, I love your post on your Chief-of-Stuff, your Christmas preparations and your various travels. I love your posts with recipes on them. Long time lurker from QC here. I love your blog, but my favorite post is the one about homemade bacon. This is for Bohol and Cebu. from The Netherlands… my most favorite article is The Christmas story about Happy… brought tears to my eyes. Thank you for doing this Marketman. From Singapore — While I especially like the posts on recipes that got me trying them out, I remember distinctly a pretty graphic post on some clams that had a rather ‘explosive’ effect on you. It was a masterpiece I thought. The mention of Krakatoa was a touch of genius! I am from makati. I love your chiken binakol post. In fact, i became an instant favorite chef in one family gathering. I truly inspired with this post as it conveys the true heart of marketman. God bless! First time to make a comment. God bless you, marketman! My second comment to you but a long time lurker from Sacramento, California. I think it was the Bourdain posts that drew me to your site. Thank you for blogging and keep up the good work mm. I’m from Naga City and my favorite was your lechon series. Thanks MM. Hello MM. Long time lurker here from Tagig. Liked the posts about where to buy/find. And of course the food pan!! What a lovely initiative MM. Currently in Manila. I’ll always remember the baby eels. By the way, ate some ‘guaranteed’ real ones in San Sebastian a few months ago. From Sacramento California – i just love reading your blog- too many favorite to list – thank you for your humankindness! I am fond of our local fruits. I had never heard of santol juice until I stumbled upon your post. It was a delightful discovery. Love your dayap posts as well. I’m from Laguna. I most appreciate your travel posts. I’m from Quezon city, my favorite is your paella post and the adobo post. Thanks for doing this, MM. I’m from QC and work in Makati. Your stories on the opening of Zubuchon and the EB are the most memorable for me, since I got to meet the ‘best pig ever’ in person… or is it pig? From Cagayan de Oro – Most favorite post would be when Anthony Bourdain signed “Best Pig…ever!” That’s what made me hit the “Bookmark this page” star in my browser :-) Now I’m a visitor everyday! My favorite to read are the feeding programs. But love the recipes, travels, and table arrangements! Hope to try zubuchon next year :-). Thank you MM. – Albuquerque, New Mexico. From Las Piñas City. My favorite is your Anthony Bourdain posts. Thank you for doing this! God bless you more! manila, every post is interesting, especially when your travelling abroad. kudos! I love reading your consumer rants! Consumer protection is non existent in Manila, and consumers should learn to make a fuss when treated badly. That and of course your lechon experiments. Hi! From Cebu.. Enjoy your blog tremendously… Love the paella posts! I’m a usual lurker, but today I want to thank you for helping out our needy kababayans. My location is Guadalupe, Cebu and although I like all of your posts, I learn so much more from your rants. Hope you’ll keep those coming too, as I agree, some rants can go a long way in encouraging improved services from those concerned. I hail from Mandaluyong. I can’t pick a single favorite from your posts, MM. I keep going back to the palayok adobo and the carabao leche flan posts whenever I make them at home. The “where to buy…” post was quite useful. I also highly appreciate the post on comparing grocery prices of basic goods. Many thanks to you on your efforts to help Bohol. There is so much to be done. Barbecued spare ribs, now a “family favorite”! May you be showered with more blessings. From Quezon City. Fave post would be your travel to coron. I asked for the contact number of your bangkero. God bless Marketman! Hi MM, I’m from Marikina. I just known from my uncle (from Iligan) that my cousin’s family were affected by the earthquake last Tuesday; they were living in Loon, Bohol .I hope and pray that they are well despite everything that had happened. Thanks for your generosity. I love everything you post especially those that bring me nostalgic memories of home… May the good Lord shower you more so you will continue reaching out to those who are in need! GOD bless you, your family and your team even more. And happy to say i tasted the zubuchon lechon already. from cavite zubuchon chronicles. God Bless you and your family. Favorite post is your feeding program. Let us pray for BOHOL. Quezon City, MM. Love all the posts on your feeding program. Many thanks for all that you do for those that need it most. lurker from Paranaque. Favorite posts were your Morocco series as our family could relate to them having been there a few weeks after your family did. Thank you so much for your generous heart. from Los Angeles.. My favorite post are those about your market escapades. from Bremen, Germany. I always enjoy reading about your food experiments. Thank you for your generous heart. from isabela, love all your articles on travel and the baby/kid/teen :) thank you marketman! Khew from Malaysia. As I typed, I just spared a thought and a prayer for those suffering over there. Thanks MM & family for doing this. Love most of your posts, including the rants. in behalf of my fellow Boholanos, a heartfelt thank you for help. I’m from Binondo and I love your “BEST PIG EVER” articles. Thanks MM! Thank you for doing this MM! I’m from Quezon City and the post about the feeding program featuring “Happy” really touched me. Hello from Cebu. My husband and I eagerly await what your next post is about. God bless you, your family and your staff!!! From Talisay City,Cebu Thank You MM ! Your ‘Christmas story’ involving a little girl you named ‘Happy’ has really touched my heart as I have a very soft spot for kids. Love all the articles with rants, travel experiences, dishes, and restos! From QC. My favorite post is the one about the camel ride. So funny! Bless you, MM. May your tribe increase. I have so many memorable posts. But one that stood out in memory was the post about where to get flowers in wholesale prices in NYC. It was of help when my sister got married there. Coming from Manila, they were surprised I know where to get flowers for her bouquet. True enough, I found a store on that street which carries lilies of the valley that day. There’s also a store that carries rolls of satin ribbons. It’s like Dangwa but uber sosy hahaha!!! Binan, Laguna. Your lechon experiments. And all your travel posts. God bless your big heart, MM! Thank you for your generosity to all of us. Im from Fairview QC, and this post is now my favorite. =) Bless your kind heart. Keep it up! most memorable would have to be the about the fish pan, yema photo, kitchen rescue article on PDI. thank you for maintaining your blog and for this donation project. From Sydney. Your lechon chronicles still makes me drool. I’ve experienced the 1990 earthquake and it was so difficult to get fresh potable water or basic necessities. I wonder if you have a paypal account where we can send money to and chip in to your generous efforts? From QC. Love all your Gingerbread posts! an avid follower from davao city. the most memorable post is the adobo in palayok with salt as the only seasoning apart from garlic and other spices. when we were in sydney, my sister in law always bugged me for this. Am from Mandaluyong. Took interest in the posts on plagiarism issues. This is my favorite post…thanks for always helping MM…from Texas . Hi Marketman, I’m from Singapore. My favorite recipe post is the grilled prawn with garlic butter and dalandan. Thanks! My favorite is Nightfall @Amanjena,Marrakech…. Lipa, batangas. Leche flan chronicles, pandesal and no soy slow cooked adobo…oh and lemon squares! I am from SG. I love your posts on paella and used your version several times. From QC. There are many favorite posts of mine, but the most memorable post is the “Exploding Clams” one. :) Second would be the one about the cheap foie gras sandwich! love about all Zubuchon restaurants. I have been a fan a long time, referred by a friend. I also introduced your blog to my sister Marixie, who got so attached , she has followed your posts with passion. My favorite blog is your Cebu Lechon. I visit Cebu every year and always make it a point to eat lechon at your restos. Last Jan, I even brought sis Marixie. associations are making preps to do the same. From Orange County, CA- love all you posts???? Again, THANK YOU FOR YOUR GENEROSITY!!! I always go back to your post on ensaymada with Marc Medina! …never met him and I wish I could one day!…miss him as well as SILLY LOLO and Footloose! I pray, Silly Lolo, that you will grace us with a comeback. I know that you have health issues and you and Siily Lola are always included in my prayers! Kudos MM and family and the Crew! really enjoy the gingerbread posts! Thank you for all your (and your family’s and staff’s) efforts Mr. Marketman! I’ve been a lurker and this is my first post in the comments section. My favourite posts (not just one) have to be those where you experiment with making “old” recipes new by adding in a new ingredient or cooking it slightly differently. God Bless You Marketman!!! Been enjoying reading your post since I first saw you on Jessica Soho’s … always waiting and wanting to read about your food experiments and sojourns. GODSPEED and MORE POWER! I’ve been a reader from the start and I must say I’ve envied the many Bohol -related posts. I have many great memories of myriad visits to Bohol and I hope for a speedy recovery and healing. Thank you Marketman for the wonderful, resourceful, thoughtful site and also your action of behalf of beautiful Bohol. I love all posts but keep going back to those on your Christmas table spreads and those that feature local, indigeneous products. May God’s favor surround you at all times! Long time reader/lurker. First time to comment. Loved all your pork related posts and recipes. I’m a long-time lurker from Maryland, and I tend to enjoy your writing about native sweets and rice cakes. Your tips on cooking pork adobo are very helpful too; I almost never have leftovers. I still hurt for the girl named “Happy.” Thank you for giving her some relief. The water you donate will be a relief for the recipients too. Silay, Neg Occ. Always look forward to the Christmas Gingerbread posts. Hi MM, favorite posts are the ones on any pork recipes,most touching the one regarding the little girl you called Happy and the occasional serious post regarding the state of the things in the Phillipines. I live in Virginia,USA. From Taguig, love reading you posts, especially all your travelogues and rants. Frustrated though didn’t get the secret password way back. Your posts during the holidays always make me want to attempt to do a sit-down dinner with family…all the details that you put in it, including decorations, floral arrangements are all a feast to the eyes besides the detail on the food you prepare. I like your rants and those posts in which you said you are a jerk magnet. In a way, I am a “ranter” and a jerk magnet too. Thanks MM . You have a kind heart. I’m from Quezon City and my friend, Maricar, told me about this blog site. I’ve been here a few times before and will come back again. Thanks! My favorites are your trips to Palawan because I want to be there myself. Someday! Meantime let’s pray for all the people who are affected by this disaster. Bohol will rise again. And thank you MM. From Makati, all Anthony Bourdain posts are my faves. greetings from davao… stay safe , cebu and bohol! Any post to do with food, travel, rant,… Hahahaha. Covers it all I think. From Las Vegas, Nevada. I love most of your posts, but the one that has been most appreciated in my kitchen is your post on Payard’s Golden Banana Cake recipe from March of 2005. It has become a family favorite, thanks! Akeeno from Meycauayan City, Bulacan. I love most of your posts. Your recipes, food/resto reviews, ingredients – fruits, veggies, herbs and spices, where to buy, fish pan, the rants, travels and tips, stocks analysis, PAL’s flight to Europe – with airfare vs. taxi fare analysis, lunch/dinner hostings, table settings, floral arrangements, and many more. I’ve followed all your lechon posts. Your first lechon post, what a lechon should be, you dissected some lechon, you built the lechonan, your lechon experiments – lechon chronicles, the needle method – accuchon/pichon/prickchon/voochon post, the lechon eyeball, and Anthony Bourdain’s visit. Now there’s Zubuchon with multiple branches and increasing patrons. Kudos to you, MM! God bless you, your family and all the Zubuchon managers and staff for helping our kababayans. Virginia, il. Thanks for doing this! God bless you! This has to be my favorite post as it turned me from a long-time non-commenter into one. Appreciate what you’re doing, MM! Prayers for Cebu and Bohol from the city of Antipolo. Your Moroccan post because it’s on my bucket list to watch the sun rise in the Sahara. And posts like this one where you’re doing your part to help our kababayans out. hi there, leah gan from vancouver. Fave post is the paella..did this dish as husband-wife tag team prepped from scratch! fried tanguigue from Dec 10/08. God Bless! I love your posts on Tabletop. They serve as reference for me when having guests. My prayers for a speedy recovery of Bohol & Cebu. Keep up the good work, MM. Hello MM, commenting from Chicago, IL, born and raised in the Philippines (Manila/Leyte/Cebu). Most favorite post is about sikwate and batirol. It triggers good childhood memories when our Lola serves us “budbod ug sikwate”. God Bless you and your family. Hello MM. Representing London here, but my father is from Bohol and my mom from Cebu. All your Zubuchon posts! From Imus, Cavite..I was touched by your recent post when your daughter turned 18, showing her red sneaker, and of course, this one, too. God bless you and your family..Your generosity will always be an inspiration. first post i read. http://www.marketmanila.com/archives/roast-chicken-with-lemon-herbs. i remember i was looking for roast chicken recipes and just decided to click on further search results from google. found this post and the blog has been on my start up items eversince. I am a native of Bohol presently living in Florida.My favorite post is about that little school girl you helped in Cebu.I thank you very much for your help.God Bless your kind heart. Long time lurker from Saudi Arabia. Count me in! I have been reading your rants and raves for years! Really love the visual “how I cook ____” posts. And All of my friends and family bring me home a couple of kilos of Zubuchon everytime they come home from Cebu. my favorite would be your post about the lobster meal you had in coron. because of that post, i went to coron, too. I also love your post about the beautiful deck that bea zobel did in dauis, bohol. I’ve been to bohol but the deck hadn’t been made yet. i plan to go there next year with balikbayan relatives. praying for all those affected by the quake! Bless your heart, Mr. MM! born and raised in albay now living in vancouver. my favorite post is “thousands-of-bottles-of-water-for-bohol”. I’m from Cainta, Rizal. The first post that came to mind was the one wherein you spoke about the practice of praying before eating when you had your feeding program for public school kids. It was very enlightening, and comforting too, in a way, because I felt the same way as you. My favorite post: Greetings from Morocco (June 21, 2010). Travel posts, all your flower arrangements & fresh produce posts. Mabuhay po kayo & God Bless..
My favourite post: This one where bottled water is being sent to Bohol. Last, week, I asked our parish coordinator about donations for Bohol and sad to say that there was none. Thankfully, I went to another parish today and they have a donation drive so I was able to give a little money. So, this is my lucky day to be able to help again. It is heartbreaking to see people esp the old and the children hurt during the earthquake. Some haven’t eaten for days because their areas are quite difficult to reach. From Manila, and my favorite post…. now this is difficult because there are so many, well about those specially grown vegetables by Gejo. Gracy from Sydney, Au. I’ve bookmarked your Inasal na Manok recipe. Your generosity is admirable! May you be blessed a hundredfold. from Dubai. All posts regarding gingerbread house and leche flan. God bless you and your family! Please keep up the good work. God Bless and Thank you. Las Pinas City. It’s got to be the one with Anthony Bourdain….and the shoes of your daughter. Touched the heart with that one :) thank you for helping this way. I love your blog and had been following it for years now. I’m fascinated with Cebu and had been there once, but hoping to be there next month. I booked a 3 night trip to Cebu and was debating whether to cancel it. But i wont let any calamity or fear or hesitation from stopping me to visit a beautiful and historic city. I hail from NJ and the top 3 fave posts of yours are about the anthony bourdain visit, zubuchon and ngohiong. Hoping to be able to taste ngohiong and zubuchon next month! from Quezon City. I love your compilation on betty q.’s recipes, lechon experiments, the sad ‘must read Christmas Story and Anthony Bourdain. Kay from SG. Love your gingerbread houses post. Hi, MM! I am from San Fernando City, La Union… I love your post about the corn dogs and adobo… Mestizong Adobo, if I may call it that way. ???? from Paranaque. Your paella recipes (black and red) are my go-to recipes! Also any of the special posts with “the kid” touched me all the time, shows what a good dad you are. God bless you and your family and your crew for helping any which way you can for our kababayan in Bohol!!! Am in Lantau Island in Hong Kong. I really enjoy your posts and am always educated, entertained, and made curious! Zubuchon lechon is always my most-requested pasalubong from those visiting me from Cebu or coming back from vacationing there. Hi Marketman, I’ve been reading your blog since 2007 and I like how unbiased your posts are. I’m currently based in Paranaque but I’ve got friends and relatives in Bohol and Cebu, who thankfully are quite safe and not displaced by the earthquake. I would love to help out those who have been affected in any way possible, and I’m glad to do so through your blog. Hi MM , I hail from Antipolo City and my favorite posts are your mangosteen jam and ice cream recipes as well as your paella and any post with you and Betty Q exchanging and sharing recipes and of course I enjoy and relish your travel posts. More power to you ..thanks for doing this for Bohol. Makati girl and long-time reader. I’ve always enjoyed reading your articles, more so when you write about what you cook for your crew whenever you have your crew parties or spontaneous cookfests. I’m from Quezon City. The post that came to mind was your Spain buys post. I’m not sure why. I bought espadrilles when I went to Spain after I read your post. Next to Bourdain’s visit in Cebu, all your ‘rants’ were also very memorable MM. I’m now in scotland, uk, i like your post about chili oil mm. from Seattle..now..living partime outside clark area Pampanga..my favorite post..your niece wedding in New York..you are sick..yet you manage to do the most astounding flower arrangement for her once in a lifetime experience!! Hello there MM.. count me in as #394 ….from Copenhagen…always love the posts on the Zubuchon terrace the most but always find every post past and present enjoyable both to the palate, the brain, and the eyes :) …thank you in behalf of my bol-anon family and friends. Cannes, France – I love your posts on flowers, and lechon, statistics, and rants! Well, I love everything, actually. Bless your heart! G’day MM and family from Sydney, Australia. My favourite post is “Footloose’s (Lohwa/Ampao) Wish is Marketman’s Command”. from the capital entertainment of the world, Las Vegas, NV. Love reading all your posts but my favorite is Crabs with sotanghon. I followed your recipe and was a hit on our last year’s family Thanksgiving lunch and I will do it again this year. Thank you very much for doing this MM and regards to your family. I read and re-read your “diet” posts, the one similar to Cohen, but not quite. If I remember correctly, the diet was way cheaper…about half the cost of Cohen. I also love your rants and your firm stand on many issues from paid ads to plagiarized articles. London, UK (currently typing from Oxford) and New York City (parents from Bacolod and Lingayen), your charitable posts involving feeding programs. Thank you, Marketmanila! From Metro Manila, and my favorite posts (for some reason) are the rants. Warms me up that there are still people in the world who care enough to complain, instead of internally simmering and chalking it up to “experience”. BTW – I’d appreciate it if you’d allow me to add to the bottles of water you’ll be sending (aside from this one). I don’t have the resources to bring them to Bohol, or get bancas to ship them, but if you’d allow me to donate in cash, I’d be thankful to get the opportunity to help as well. I like the fact that this donation will go straight to those who need it (instead of passing through lots and lots of red tape). I hope to hear from you soon. Its been a part of me to check your website if I have the change to go online for a couple of years now. Just searching the archive if you don’t have update for that day. I don’t know but actually my fingers already got its own system that when I fired up my browser it always open a new tab directing to your site. Ironically I like your rant posts, it’s just give ways to correct some bad things going on, I know this will vary from person to person but majority experienced your rant maybe once or more. Continue to be more of an inspiration. Mimi from Makati ; i’m a silent fan but this POST will top all 3,700++ writings for now. I’m from Canada. I love your blog but I like the way you protect your sister’s privacy the most. Once you showed her picture- but only her back. from Beijing, China… i love your posts about markets both local & abroad.. i myself love walking around markets… God bless you MM! Hi Marketman, I’m from Marikina, a big, big fan of yours. I have a lot of favorite posts here, but the most recent fave is your post on how airplane fares are cheaper than taxi fares here in Manila. Blew me away! Thanks for doing this. I’m from the L.A. area and most memorable post has gotta be what gave birth to the fishpan award. :) I also like the post about renting vs. buying (eye-opener) and also the one where you tested the insurance thingy, the one that’s similar to calling 911 here in the US and the paramedics come but over there I think it was actual doctors and nurses, if I remember correctly. Mandaluyong, Metro Manila also a lurker. Like the travel post specially the one in Morocco. The rants, the flower arrangements, anything related to Zubuchon (been there on both times I visited Cebu). Also liked the one wherein you did a mock stock investment (including a follow up). Favorite posts: Anything to do with New York and New England, I was born in NY and I lived in Boston for a few years and I love seeing familiar areas from your posts. Also, I love all your rants :p You remind me of my dad in that sense hehe. Been a lurker since 2012. Hard to choose from your entries but what I like the most is The Kid turning into a Lady. Been a lurker since 2012. I’m from Laguna. Hard to choose from your entries but what I like the most is The Kid turning into a Lady. i’m from City of San Fernando,La Union. I’m an avid reader of your blog and from time to time share it to my FB page. I don’t usually comment though, but I always read the comments on your blog too! My favorite post is about the calamansi jam. i’m going to try making it very very soon! thanks for your generosity. God bless you more and more! Been a lurker in your blog for more than years. Thanks to your informative articles and recipes I have taken an interest in home cooking and other food-related adventures as well (read: Cebu and Lechon) I have been in one of your restaurants in Cebu city and I was glad it didn’t disappoint. My favorite is the ZubuMami post, http://www.marketmanila.com/archives/zubumami-lechon-mami-a-la-marketman which is the first dish I’ve seen on this blog a couple of years ago and inspired me to cook and experiment! God Bless! And may you continue to inspire more people! i’m from Baguio City but currently living in Shanghai, China. my favorite posts are those related to market visits and some of those rants. My family just visited Cebu and Bohol 2 years ago during our Chinese New Year vacation. My prayers and thoughts go out to the wonderful people there. Thank you MM for your generosity, God bless you and your family! I love your site, it’s on my Most Visited page, and the food shots are amazing! Keep up the amazing work sir! *And hats off to your crew as well! 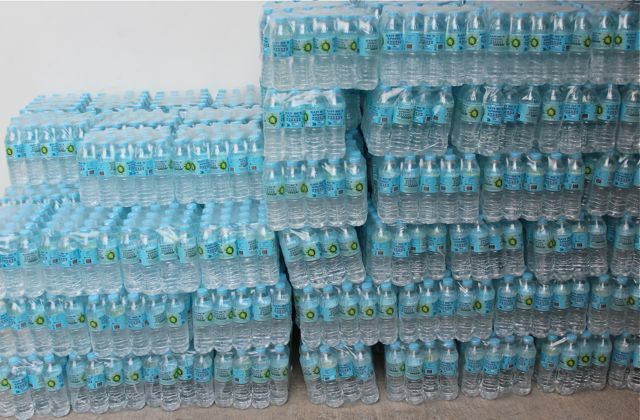 thank you for donating bottled water to those affected by the quake in Cebu and Bohol! it is not my favorite post kasi andami po ninyong posts na gusto ko, but I like your post on crabs and crab trap in 2010! may God bless you more and your family too! from blumentritt ,manila now oakhurst nsw australia. I like the post about chorizo bilbao which isnt really from bilbao. Thank you very much for helping our kababayans in their time of need. May God bless you. Thank you for all these years of foodblogging. I was one of the first ones who join your 1st eyeball at Galileo Enoteca. Have been a fan ever since. Hello, i’m from Pasig City, this is the first time i will comment but, i’ve been a reader and fan since 2009, actually all your posts here were interesting but my favorites are your flower posts and table settings. From Noveleta, Cavite….Eversince I started reading your blogs, I love your website, MM! Thanks for the food with great photos (really enjoyed the Barbequed Adobo a la Marketman). More power! thank you, MM and family and crew! from davao. and still my favorite recipe is your chicken inasal! I am from the boondocks of Taytay, Rizal. I love reading and re-reading all the lechon-related posts. I lived in Paranaque all my life until last week – now it’s Bacoor, Cavite for us…I have been following your blog for several years now – I enjoy the lechon chronicles (from the time you were just learning how to roast a pig until until the present Zubuchon) and your posts on the food you serve for your intimate dinners at home. A long time reader from southern California here! Thanks for your generosity, MM! Favorite posts — anything related to holidays, flowers, and travels. It’s fun living vicariously through your posts. my favorite is the soy sauce less adobo. god bless your generous heart marketman. I love your jam and preserves posts.. also your leche flan and ensaimada/bread posts! More power MM and God bless you! From the US, via Cagayan. Ensaymada posts. God bless, MM. From Manila. My faves are the posts about pork belly and the colors of New England in the fall. From Makati, my favorites should be the bourdain & lechon posts, pls. keep up with the generosity which is why you are so blessed Marketman! Hi MM, I’m from Quezon City. I love looking at your beautiful pictures, whether flower arrangements or cooking experiments. Manila. Wow too many favorites, I guess the one with the eye ball in Cebu and the opening of your first outlet.May God continue to bless you as you bless others. Keep the passion burning and continue your generosity. GOD bless!!! Thank you for all the water that you have provided to the people that needed them the most. I am from Melbourne, Victoria. I love reading your posts,but stays quiet in the background :). My favourite post is the “sotanghon” I now carefully look for the real one in the shop :). I really enjoy your posts, and I think this new gesture reflects just what a good person you are. My fave posts are when you interject personal stuff in your blog, like intimate dinners with friends or family, or trips abroad with your family. Cavite here – All your lechon post and leche flan. I have been reading your posts for sometime. But this is my first comment. From Cagayan de Oro. First time I visited your site was when I searched for Panettone. I love your recipe and been making panettones to give to friends every holiday season since then… Although I’m very silent, I’m your one avid follower. Thanks for your generous help for the earthquake victims of Bohol. More Power to you MM! I am from Bulacan and I have been reading your blog since 2009. My favorite posts are your flower arrangements which you get for a very low price in Dimasalang! Goes to show that with one’s creativeness and ‘pagtitiyagang pumunta sa Dimasalang’, you can have arrangements that are at par with hotel centerpieces. God bless! Thank you so much Marketman. May all your blessing be multiplied ten folds. Count me in please. I am very grateful to have found this blog. Thanks for extending help to my paisano Boholanos. This is Charlene from Cebu City. what a generous idea MM! From Laguna. Favorites are the Bourdain posts and the one with the Pan de Sal recipe from the Aboitiz cookbook. Thank you for doing this. From QC. My favorite post has always been, is, and always will be the claypot adobo sans soy sauce. That recipe literally changed my life. I disliked adobo all my life because the adobo I have had at home, in carinderias, in fiestas, in restaurants, and elsewhere is either too dry, too salty, too sour, too sweet, and generally uninteresting. Your adobo recipe allowed me to dissect the components of a good adobo, experiment with different vinegars/pork cuts, and create a new, comforting dish that I can truly call my own. Sorry for tuning in late; hope I can still catch up. It’s here in the boondocks of Diliman, QC that I first encountered this blog many years ago, and the post was about salt. God bless the Market Manila community! from Wiltshire, England. Love your lechon experiments, travel posts and that post about charmin toilet roll :) It’s now called cushelle in the UK. Count me in as #479. I live in Maryland, USA. Please count me in. I love most of your posts but really enjoyed the post about your daughter turning 18. From Metro Manila. I love reading about local produce. Thank you MM. I live in Quezon City. Thrill and pride filled me when i read the post about Anthony Bourdain’s visit. From California. I find all your posts interesting most especially, the gingerbread house ones. Thanks for doing this MM. I live in California. I love your post especially about the Pili nuts. Hubby’s roots are from Bohol, thanks for doing this. From Marikina City. I love reading your travel posts. Thank you, MM. Nagdako sa Dabaw and presently in Washington State. My favorite blog post is the Leche Flan Chronicles. Daghang salamat for the big help. Longtime lurker from Australia. I love when you re-create traditional Filipino dishes and try to be as authentic as possible (no shortcuts). From General Trias, Cavite. Used to comment but been lurking only for quite sometime now. My favorite posts would be your adobo and leche flan chronicles. Saved copies of these on my laptop for re-reading. God bless your good heart, MM. I’m from QC. I love your post on chicken inasal. I’ve been making it for my kids and they LOVE it. Thank you for all your efforts of bringing good recipes, market experience, and also helping other people. From Quezon City. I actually love all your posts including the rants but my favorite posts are Easter Lamb ala Marketman and Grilled Meyer Natural Angus Beef Ribs. Thank you for doing this for our kababayans in Bohol! God bless you! I am from Quezon City. I enjoy reading your posts about Divisoria and Dangwa. I perfected my leche flan from your post Leche Flan, Round 111 (a,b,c,d,e,f), I love The Best Pig, Ever! with Anthony Bourdain and the fish pan with the comment of M. Dimaculangan that always put a smile on my face. Thank you for helping out our kababayans. I live in the US and the school of my daughter is also raising funds to send to the victims of the recent earthquake in the Philippines. God Bless you, Marketman. fave posts are the lechon series. From Kuala Lumpur. I love the fish pan and Anthony Bourdain posts. Thank you MM! Love the lechon and travel posts. I’m from Manila but 10 years ago my work took me to Bohol & Cebu and since then I consider these places close to my heart. I’ve also been a follower of your blog for 3 years now and the kind of posts that I like are the ones with foreign recipes that you’ve adjusted to use local ingredients. I also like your posts on where to shop for certain things. from makati, favorite posts are those on chicken inasal and sotanghon. thank you! – When does the “Baby” turn into a “Lady”? An OFW from China. Love your Anthony Bourdain post. It brings pride being a Filipino. Thank you for sharing your blessings to the needy and unfortunate. God Bless! Nice gesture MM. Hope the people of Bohol recover quickly from this tragedy. Favorite posts were the Leche Flan experiments. From Mandaue City, Cebu. I have been a follower / lurker of your blog for quite long (around 5yrs, I guess). I’m not sure which of your posts is my favorite as there are too many that I like. I’ll choose your lechon chronicles, torta chronicles, budbud kabog and the chicharon chronicles as it makes me rediscover my home province, Cebu! I’m from Bulacan, I googled how to cook Tocino and that’s how I discovered your site. Thanks MM! Hi MM, I’m from Antipolo City, as for the favorite post, too many to mention, but I specifically love your Coron travels, been dreaming to go there someday…:-) God Bless you and your Family!!! from Long Beach, CA. I dream about your chili crab! Hi MM, I’m from Quezon City and I thoroughly enjoy reading your posts doing your table settings on various occasions. Anyways, thank you so much for this simple yet meaningful gesture. Tata! One of my favorite posts is the chicken inasal recipe, yum! I’m from Silay City now working in Luxembourg. Favorite post has got to be the inasal one, in which I usually go back to it for the recipe when I am in dire need of some comfort food. I love your posts on your feeding program. Thank you for inspiring us! This is again, a trademark generous gesture from Marketmanila. “The Fashion Challenge” (what would MM wear and bring to a meeting with Martha Stewart) is memorable for me because I won a prize there! I’m Reggie Rullan, a lifestyle contributor of a national daily and some food magazines. We have corresponded before. My favorite recipe to date is the butterflied fried prawns in five-spice powder dry rub. I’m an adopted Cebuana cause I married into a Cebuano family with Bol-anon relatives and I am praying for more bottled water to get out there. This is awesome! I’m from Mandaluyong and hands-down the Bourdain entry is my favorite! Global pinoy pride! Let’s do this! Thank you, MM! I’m from Mandaluyong and have been a fan for years. I love your Anthony Bourdain posts plus the travel posts from Paris with Mrs MM and the Teen. Oh but I also remember vividly how you’d prepare for dinners at home with guests starting with what flowers were used, and how you’d put together a menu. Those are also the best. Keep cooking! From San Juan :) I LOVE your rants! Very eye-opening and educational. From NCR. Like your blog especially the bibingka & where to buy hard to find ingredients posts. Currently living and working in Pasay. The post most memorable to me is about Salcedo Market in Makati. Google brought me to your blog sometime in 2010 and I have been a lurker since then. I’m from Sta. Cruz, Laguna po. Love your travel experiences and Anthony Bourdaine posts. Praying for the people of Cebu and Bohol. We ‘re scheduled to visit Cebu and Bohol on January 2014. Be Blessed! Love your post on lechon chronicles! Been an avid fan from way way back. I was inspired by your post about dieting. Love your recipe posts too. Residing in Jordan, currently in Manila. your nephew lb brought me to your family’s resort in panglao and i can’t say anything bad about it. i love bohol too much and it saddens me to see it in the news. Great advise, we are also currently collecting donations for Bohol. Keep up the great work. Hi MM, i love your lechon chronicles posts. Hi! I’m from Taguig City. I like this post the most. Thank you! thanks to your guava jelly recipe, the first recipe i tried from your blog MM, I’ve been a lurker for the longest time and I’m also a Sugbuanon. I just wonder when will these aftershocks stop. Really amazing thing you’re doing here. Thank you for doing your part to help Bohol. Hi MM, I’m from Everett, Washington, USA, although I first stumbled on your blog while living in Pomona, California, USA. My most memorable post is your December 4, 2005 PAROL/ FAROL/ CHRISTMAS LANTERNS. It brought back poignant memories of Christmases Past in the Philippines and how I wish I could impart the wonderful feelings I had to my son. Thank you, we now have a multi-colored capiz Christmas lantern with interchanging light patterns which we brought back from the Philippines only this past December 2013 and some red /white capiz Christmas balls but nothing compares to my memories of the thrill when we used to hang out our gigantic white and gold papel de Japon Christmas Lantern out at the front of our home and turn on the light at night. Thank you for all your blog and the gift of conjuring up the reminiscence of the past for all of us hankering for home. Thank you for your generosity for the victims of the earthquake. Malrton, NJ. Salamat sa imong paghigugma sa Bohol! Loving all your posts related to travels. But one that stuck to my mind was how you described the windows at Tiffany & Company. Christmas really brings out raw emotions in each one of us. I think your approach to helping victims is correct – that is, direct delivery to the affected areas instead of coursing them through any govt agency. It ensures they get into the right hands. I would be glad to extend my contribution as well, through your channels. Pls let me know if this is possible. currently residing in Manassas, Va. memorable blog – budbud kabog recipe. Loved your version of chicken inasal. I have tried it and it was delicious! Thank you for doing this. I love your five roasted pork bellies. Thank you for your generosity. God Bless you and your family. I admire how you write, and now, how you exert effort to help our kababayan from bohol. Time to leave a comment again. Thank you, MM! Bless your soul! When I was still working in Manila. I take pride in reading your blog because you are Bisaya. Thanks for taking time to help our neighbors in Bohol. God bless! Favorite posts: Top 50 Pinoy Dishes, the lechon chronicles, and the rants. Learned a lot from you, Mr. MM. Thank you. I’m from Cainta, Rizal and i will never forget about your epic rants against those nasty plagiarizers and that guy who stubbornly insisted that grilled meat should be eaten hot off the grill and not rested. Kudos to your endeavor Marketman! You are EPIC! Lucky to have seen Bohol 2 years agao while on vacay in the Phil. Hopefully will be able to go back there in a couple of years. Hubby went home to Bacolod via Cebu and accomplished a mission to try some of Zubuchon’s famous treats. Wish he could have brought home some of it all the way to Texas. New Zealand. All about adobo posts. Hi MM! I’m a long time reader (and lurker!) from Parañaque City. This particular post I’m commenting on tops them all though because it’s working to help those in need in Bohol. Maraming salamat MM! May God bless you and your family a thousand fold! Like a lot of your posts and have used your recipes a lot. Hi, I’m based in Laguna. Most memorable post: Amsterdam post- thanks for introducing De Kaaskamer van Amsterdam to me. Thank you- I am inspired by your generosity. I’m from Pasig. I love all your post about The Kid, The Teen and now The Lady….I’m imagining my dad saying/doing the same things for me if he was still here. He also loves good food and cold beer! From Cadiz City and my favorite “set” of posts are the Leche Flan chronicles. Been a follower, lurker, occasional commenter since 2006. Praying for the people in Bohol. Favorite posts: travel and shopping adventures, lechon recipes, and halo-halo pics. It’s difficult to identify actual entries since i enjoy reading all entries, i’ll limit to my favorite categories of travel (markets, hotels, etc), recipes (i did love the lechon series) and domestic stuff (flowers, kitchen implements)! I’m from Quezon City and my favorite posts so far are those that involved octopuses and finding out about Osang’s broas from Baclayon. From QC, but my paternal grandmother, who I never got to meet, comes from Bohol. There are times I don’t agree with you and your rants, and sometimes I even think you cross the line, but you have always had my respect. Thanks for finding a way for us to help. From Makati. The post about Mamou’s Kurobota (Pork) Sinigang, and thanks for your generosity…you are blessed and is a blessing to those in need. Napakabait mo, marketman. Pagpalain ka nawa ng Poong Maykapal. Favorite posts: travels, rants and recipes. I’m based in Shanghai, China. My fave is your post about inasal, and Betty Q’s siomai recipe in one of the comments section of a post. Hi! Long-time reader from NJ. I hope this isn’t too late. My favorite posts are the ones on the help you’ve provided impoverished children. Keep up the good work! Thank you. Living in QC–originally from San Francisco. Favorite post was Sister’s Cinnamon Roll Recipe; I have made them multiple times. I also always love the gingerbread/Christmas themed posts. thank you for having a kind kind heart! Bohol has water shortage because it needs electricity for water supply. Once the electrical system is restored, then towns will start getting water. May God continue to bless you and your family. I’m from Mandaluyong. I always start browsing the internet going to your site, always excited to learn something new wether your trips from abroad or just around the country. Your appreciation of both local and imported products. I always remember that colorful basket you brought where you put yourdried fish before going back to Manila. I always wanted to purchase a basket like that. Hi Mr. MM, been a fan of your blog for sometime now. I was born and raised in Baguio but is now working in Thailand. My fav post is your Letchon post. I am really looking forward to visiting cebu at dining at Zubuchon..
Somewhere in Silicon Valley, I love your rants… Much thanks for sending to those in need. My favorites so far are your Spiral Buffet articles… and oh, your rant on HSBC because I’ve been frustrated (many times) with their Hotline, too. Hi there, from Maddela, Quirino…i love the Coron posts…looking forward to dining in Zubuchon! Hi. Long time lurker here. From Muntinlupa, but a cebuana.The chicken inasal and pan roasted lapu lapu just because they have become main staples in our family’s menu ever since you shared them. Oh, and the mock stock investing, they were very informative. Hi! Yazi from Cebu. I love your post about your bacolod food trip!!! Commenting from Maui. “A Christmas Story…You May Want to Read This One” touched my heart. Lots of great posts and yummy recipes that made their way to our dinner table. Cheers! I live in HK. My favorite of all your posts are the private dinners you host in Cebu (the views are amazing and the food abundant, it makes me wish the monitor could act as a transporter), and when you hosted Anthony Bourdain– best pig ever! Born in Iligan City, grew up in Cebu City, now living in Bacolod City. I love your food and floral arrangement posts. Sorry for the late comment. Thank you for helping the people of Bohol! Hope im not late. Currently residing in NJ. You’re post about the best lechon in the country and Iligan City’s was recognized. From Makati City, Philippines. My favorite post is on flower arrangements. I hope im not late at this ‘post a comment for our friends in Bohol’…God bless MM and family and crew. from Manila. My favorite posts are your consumer rants and your post on credit cards. Of course, I’ve been checking your posts regularly for the recipes and flower arrangements and your travel posts and I love reading all of them. I’ve been to Zebuchon and although I don’t personally eat pork, I still enjoy eating in your restaurant. Thank you for doing this. What an admirable thing to do! More power to you Market Man! Hi Marketman, my all-time favourite is your lechon chronicles! I have gained inspiration from that series to replicate a spit-roast addiction. Living in Surrey, England-the crispiness(?) of the skin is dictated by the current weather in the last 20 minutes of roasting! I hope my comment still counts. I was in Japan these past few days but safely back in Manila now. My favorite posts are usually travel related or flower related but if I have to pick 1 memorable post it would have to be the gelato post from Venice. I believe it was the post that made me from a lurker to a regular commenter. Bless you MM. Too many favorite posts to list down. I get my daily dose of food knowledge from your blog. Thanks for all the info you put into each topic. Like so many others here, I have been a lurker for so long. I live in Cubao, QC. And just because my comment will be one for a good cause, I’ve decided to get out of the shadows and speak up. I like all of your flower arranging posts, their simplicity and elegance. But what leaps now as my most favorite was when you posted about the baby shoes that once belonged to your baby and then she became a teen and then she blossomed to be a lovely lady. Thanks for all your posts, MM! Now based in shanghai, china. Favorite post ever…. Too many to choose from MM, but i will go for any of the christmas gingerbread house creation posts. based in thailand…favorite post has to be anything related to the holiday dinners you served in your home…i also like your travel posts and i bookmarked them just in case i could finally take my family on a trip to one of the European cities. From Pasig City. I have too many favorites crammed into an awful memory bank, but what jumps at me currently are the rants esp. Those on ignorance, when you dip your hands into some politics, the best adobo ever, the 5 liempo and most of your pork related experiments, and whenever you do posts about your ‘little girl’ joy and pride. Hello! Regular reader based in Quezon City. Your consumer reports are my favorite. Thank you for all that you do. The First Marketmanila “Mok” Award… And hopefully the last.